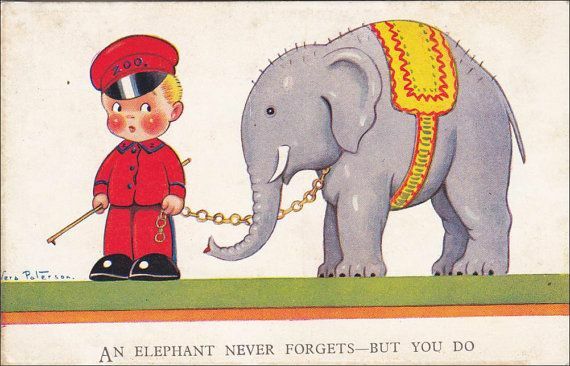 Since you asked, yes, I have two strong childhood associations with elephants. My mother grew up in a home where French was the first language. We called her mother “Dami.” Dami read and sang to us in French. WHAT THE ACTUAL HELL?????? What was de Brunhoff thinking? Le chasseur a tué la mère de Babar. 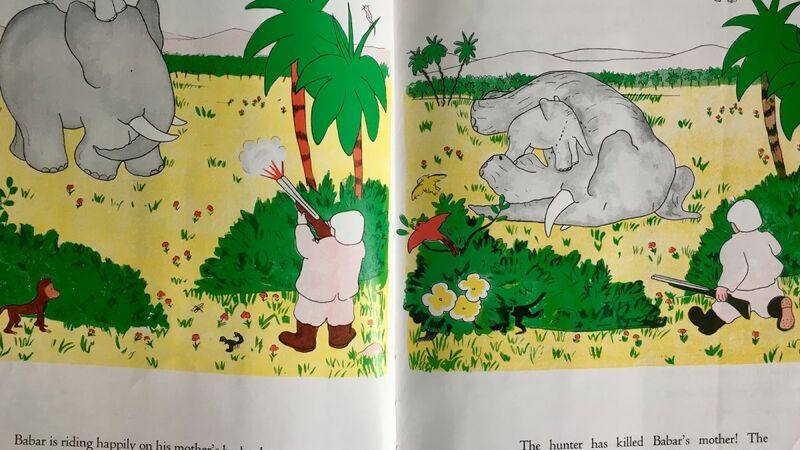 The hunter has killed Babar’s mother indeed. Perhaps a life lesson about death and hunting and poaching and ivory, but still and all – SAD! In fifth grade (B form) I could read for hours at night without falling asleep. I remember reading a Kipling story that told of elephants going to their elephant graveyard to die, and their companions singing their grief. It made me very sad. 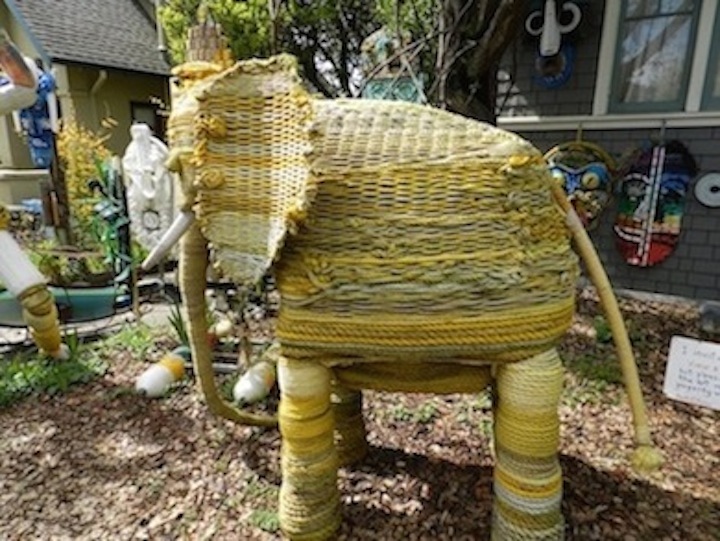 In this post I collect photos of elephants in Berkeley, both two- and three-dimensional representations of the family Elephantidae in the order Proboscidea. 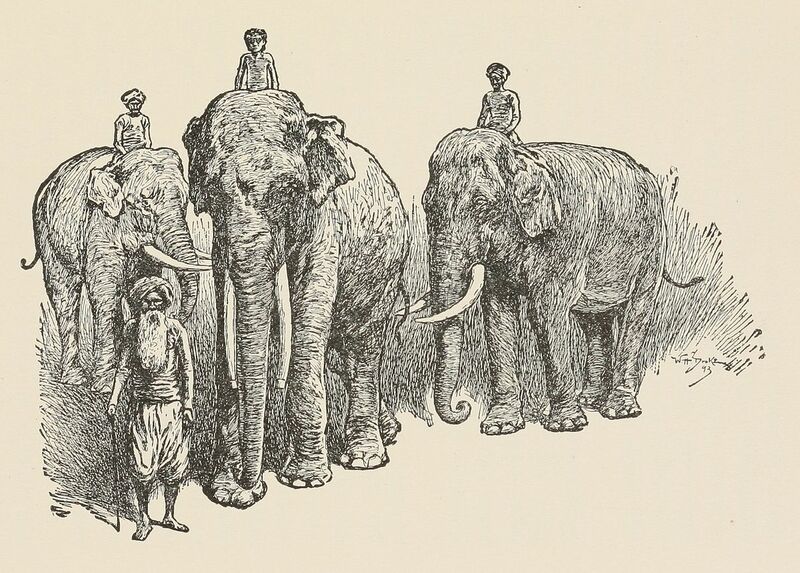 Warning – I won’t be using the term “pachyderm.” Yes, I know of Ogden Nash writing “Amighty creature is the germ / Though smaller than the pachyderm.” But – pachyderm is an obsolete 19th-century taxonomic order of mammals that included elephants, rhinoceroses, and hippopotamuses. 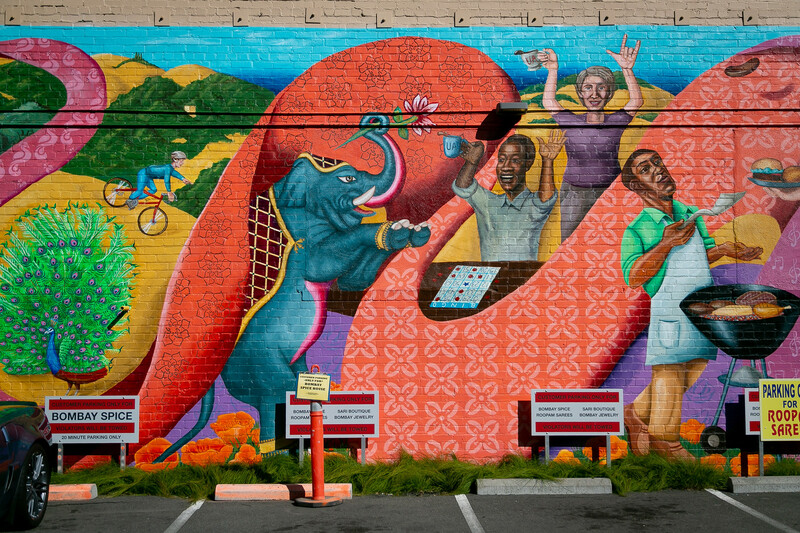 To begin our elephants of Berkeley tour, I suggest the northeast corner of Cedar and Scenic. 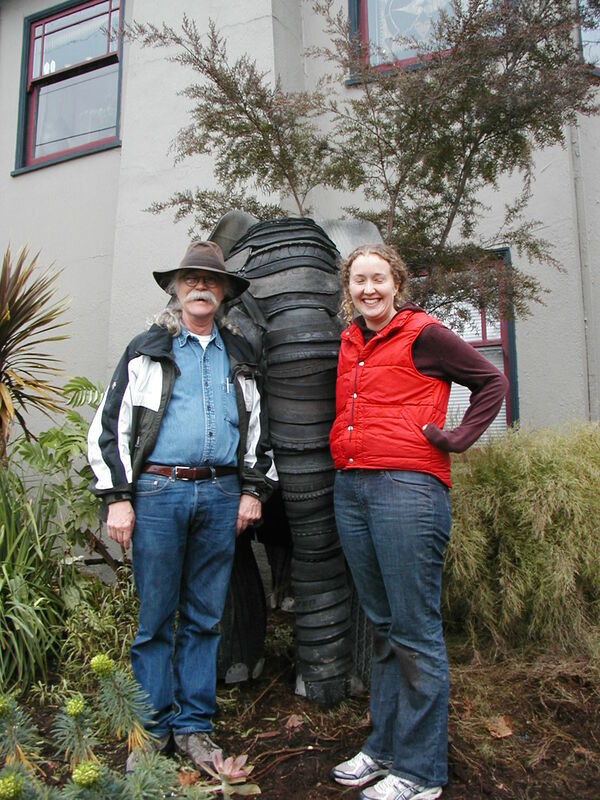 This elephant was the senior sculpture project of Roxanne Urry at Sonoma State. Roxanne is the daughter of a friend of Mary Kate Morris and Dan Werthimer, owners of the home and creators of a majorly quirky home and garden. 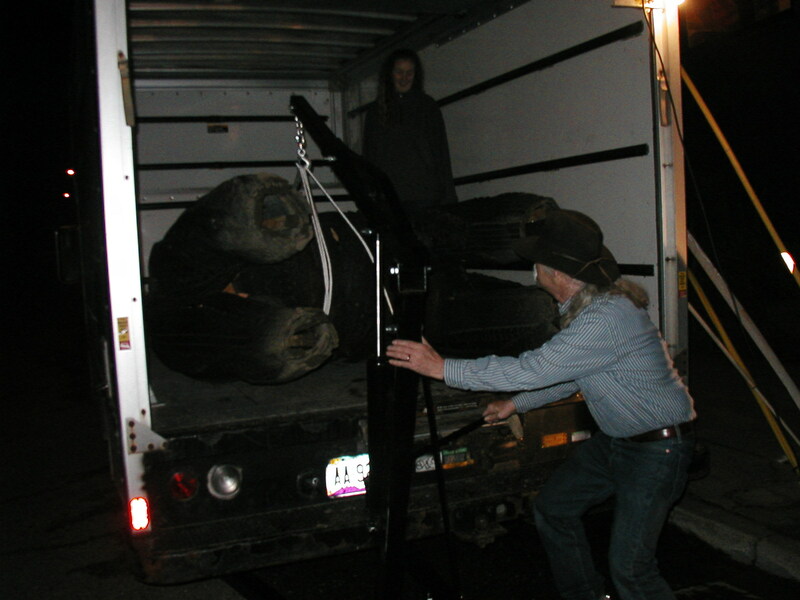 The elephant arriving by U-Haul. 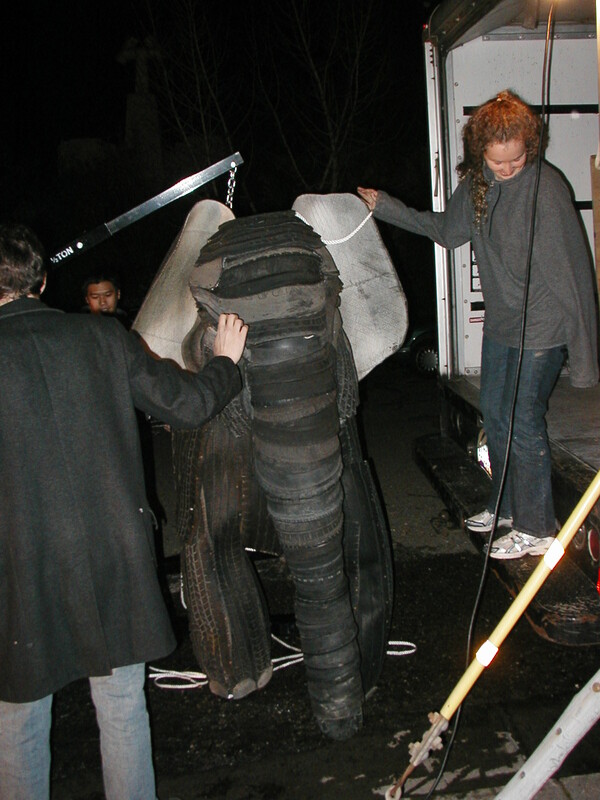 The elephant emerges from UHaul. Oy! Heavy! Son Willy many years ago with the elephant, captioned here as being named Penelope. This is Sweet Baboo, made by Mark Olivier, the Genius of Colusa who collects and assembles into sculptures beach detritus. This photo show Baboo in Olivier’s front yard on Colusa in 2012. Baboo is no longer in Olivier’s front yard. 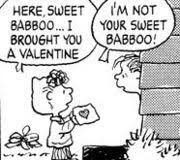 Baboo moved a few blocks west, to Stannage. I have posted about the over-the-top spectacular wonderful quirk outside and inside 2333 McKinley. 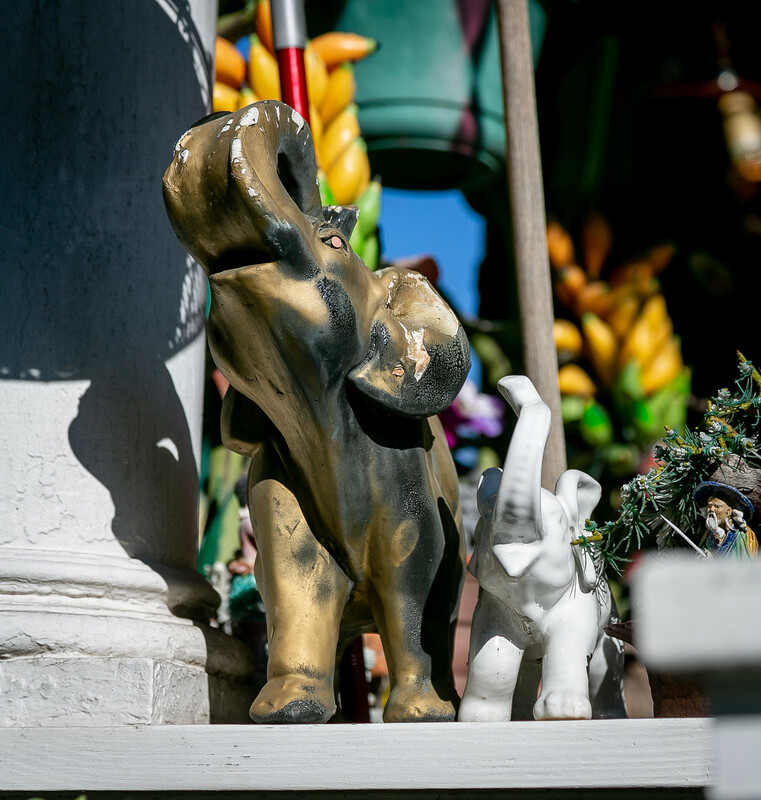 Among the quirk assembled by Howie Gordon are these elephants on the front porch. 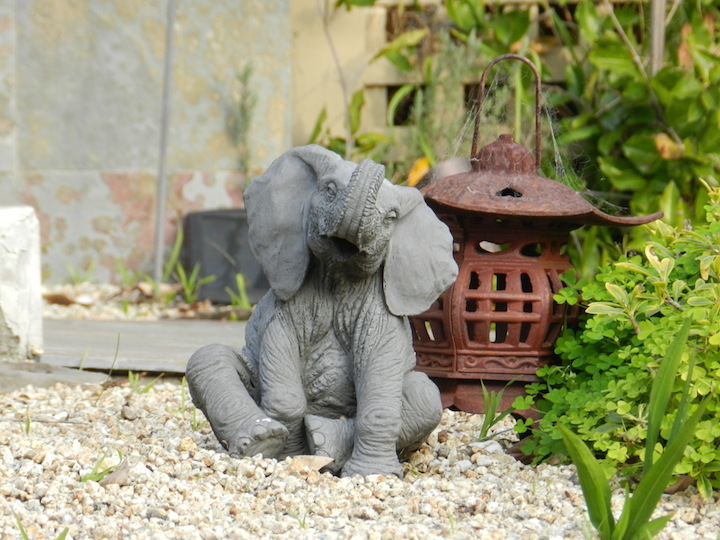 In addition to the three-dimensional elephant sculptures, we have several great two-dimensional representations of elephants. 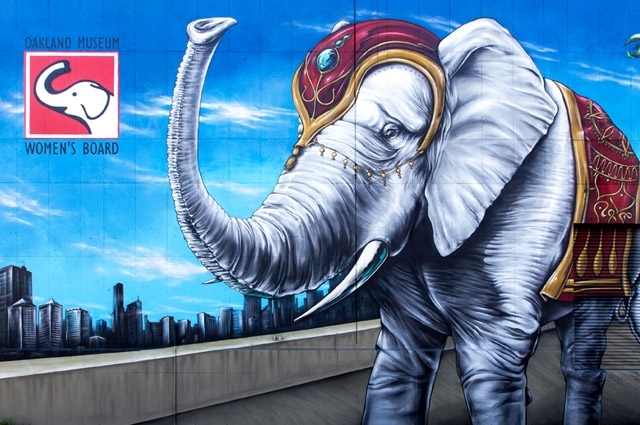 My vote for best in class (2D Depiction of Elephant) goes to Eduardo Pineda’s multi-cultural mural on the U.A. Housing / Bombay Spice building on University Avenue. If you click on the photos they will pop up full-screen big. 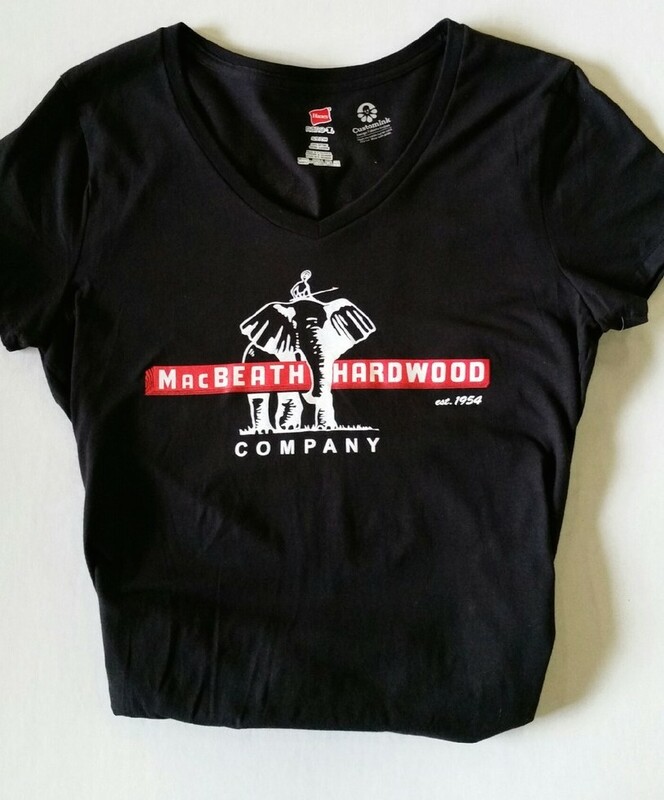 I was not sure about the significance of the elephant in MacBeath’s logo. 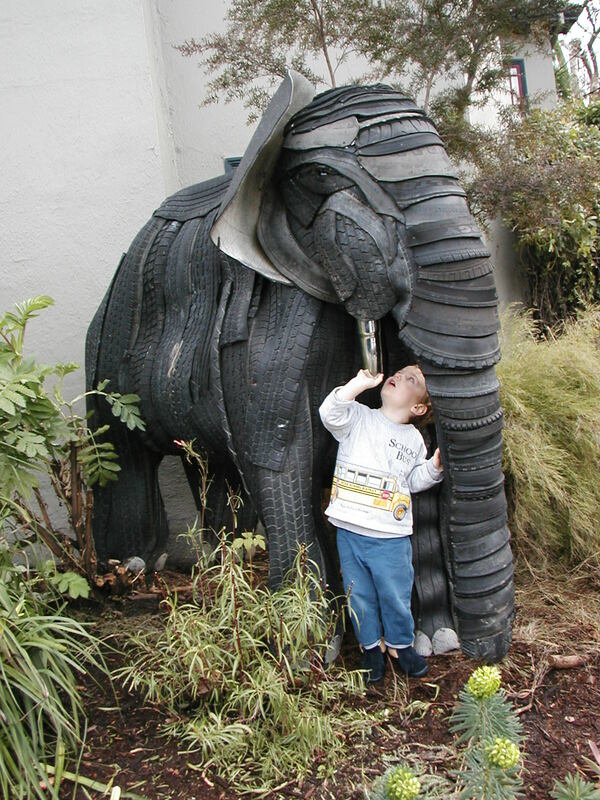 Quirky Berkeley reader Crystal Baker provided the obvious answer – elephants are used to move logs and lumber in Asia. Obviously! I suspicion that it speaks to the connection between forestry and logging practices and the elephant’s habitat, but that is only a suspicion and come to think of it I don’t think that this is an issue that would have been front and center in 1954. It is a great elephant image no matter what. 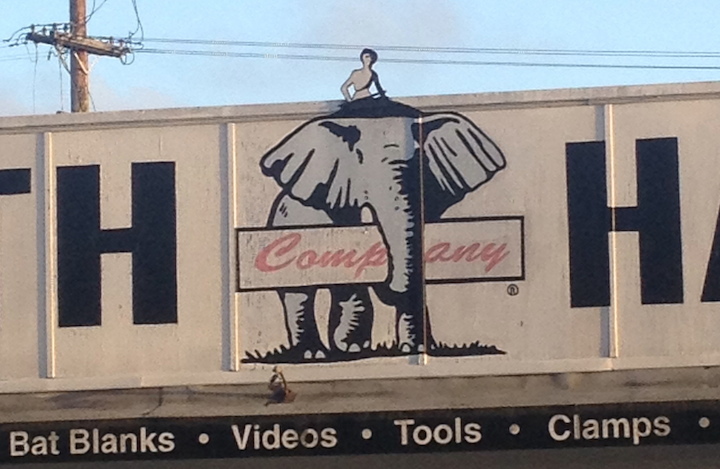 There is an elephant newcomer on Ninth Street just south of Gillman. 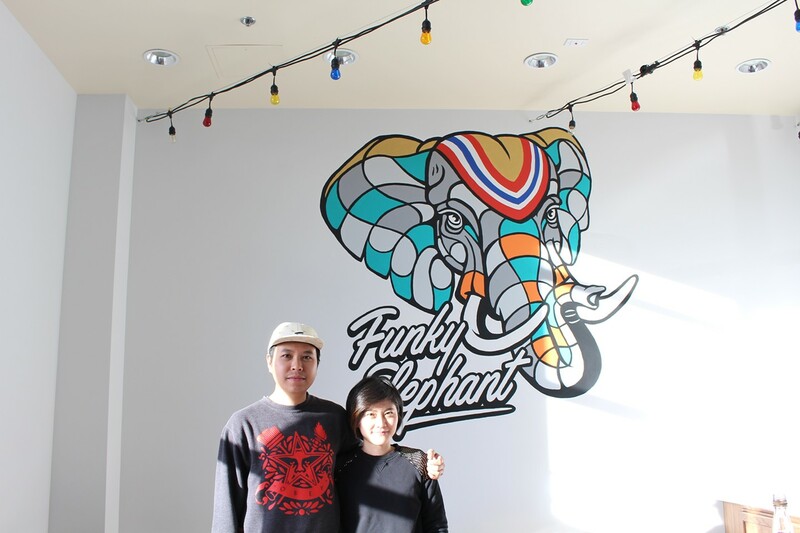 It is the Funky Elephant, a new Thai restaurant at 1313 Ninth Street. Good reviews, tasty menu, killer graphic for the killer name logo. The Little Elehant Montessori School is at 2008 McGee. 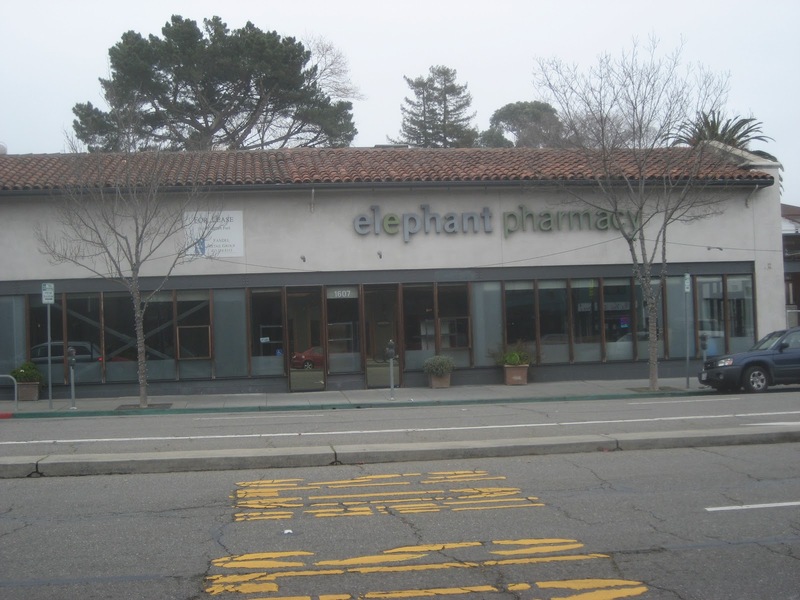 Elephant pharm was an iteration ago on the fluid southeast corner of Shattuck and Cedar, which during my time in Berkeley has changed from the Coop Hardware Store to Copelands Sporting Goods to Elephant Pharm to Walgreens. 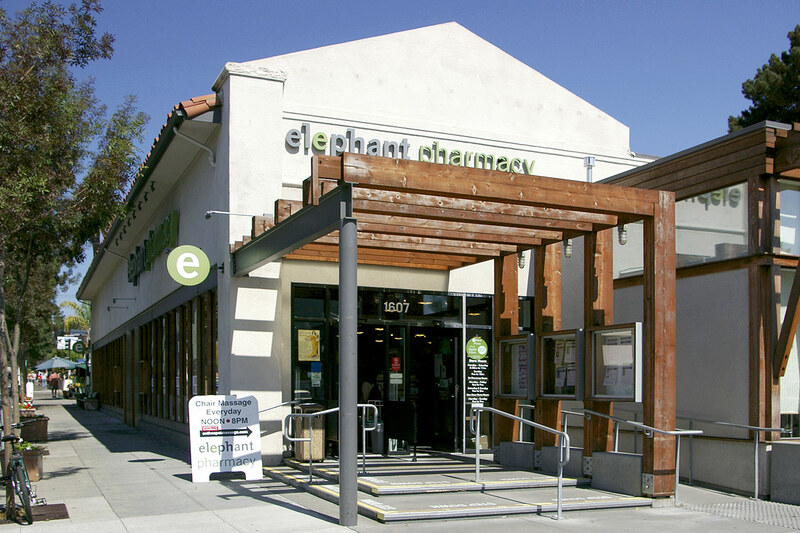 Elephant Pharm i now gone, but an elephant is never forgotten. 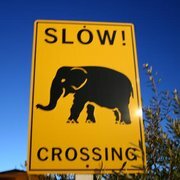 Except for the crossing sign, there weren’t elephant images that I remember or can find. I have slipped it in here because of the name and in the spirit of my often feeling irrationally motivated to complete arbitrary sets of tasks – all things elephant in this case. It closed suddenly in 2009. The progression from Coop hardware to sporting goods to hippie pharmacy to chain pharmacy is of interest. 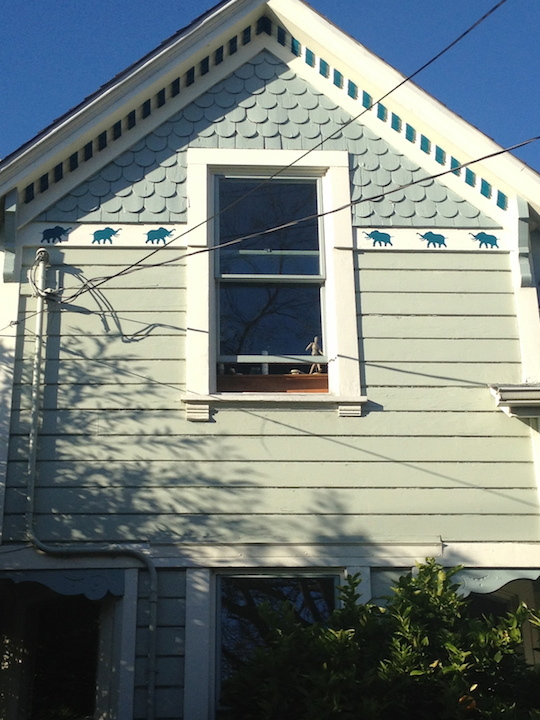 The finest elephant art on a home in Berkeley is on a Painted Lady on Addison. 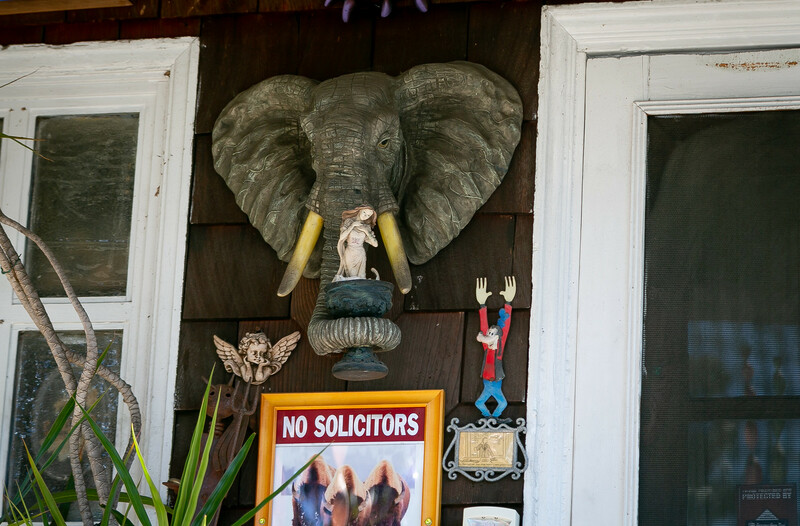 The elephants painted on the front of the house are a relic from Jeffrey Masson, a previous owner. 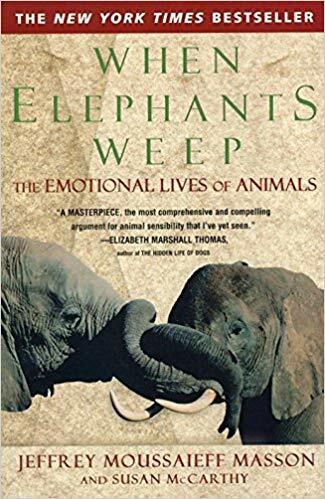 Masson wrote When Elephants Weep. This mural was painted on the concrete wall of the shell of a garage on Arch Street and was visible from the street for a while. 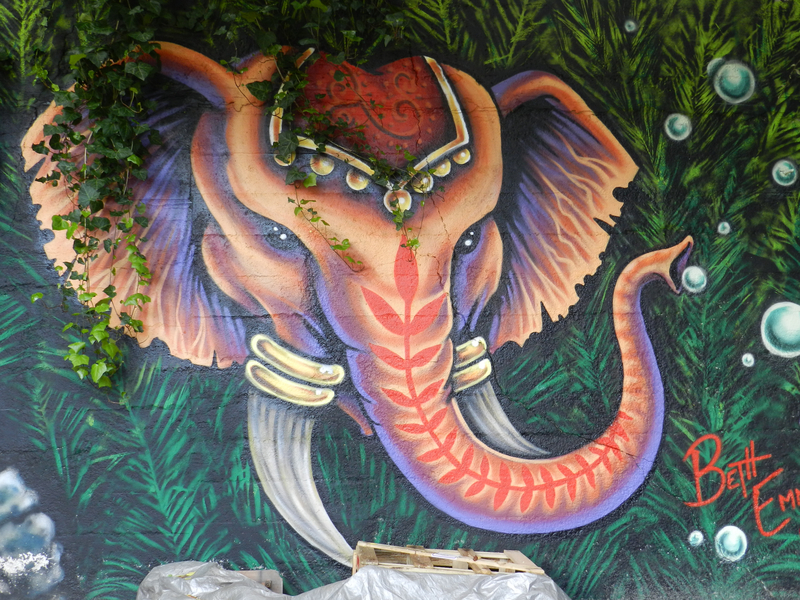 Kind of cheating, I know, not precisely an elephant but more accurately Big Ganesha – yes, a.k.a. गणेश – on a quirky concrete canvas with ivy tumbling down from above, becoming part of the art. 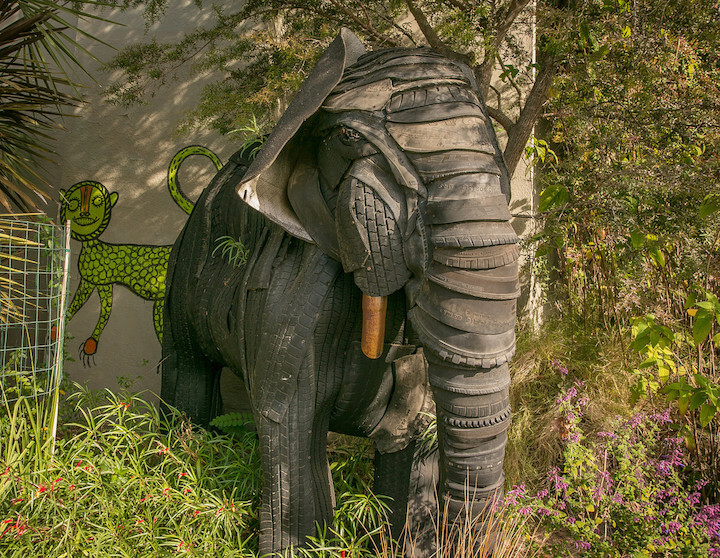 In 2013, the owner rebuilt the garage, sealing our elephant friend behind garage doors. Art is not eternal and is not eternally visible. Outdoor art became indoor art, that’s all. Which makes me want to reread Poe’s The Black Cat. And then there is Stomper. The Philadelphia Athletics, owned by Benjamin Shibe and managed by Connie Mack [hence Shibe Park and Connie Mack Stadium], wore uniforms with an elephant logo on their jersey. In 1963, when the A’s were located in Kansas City, Missouri. 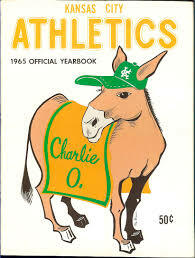 Owner Charlie Finely changed the team mascot from an elephant to a mule, the state animal of Missouri. 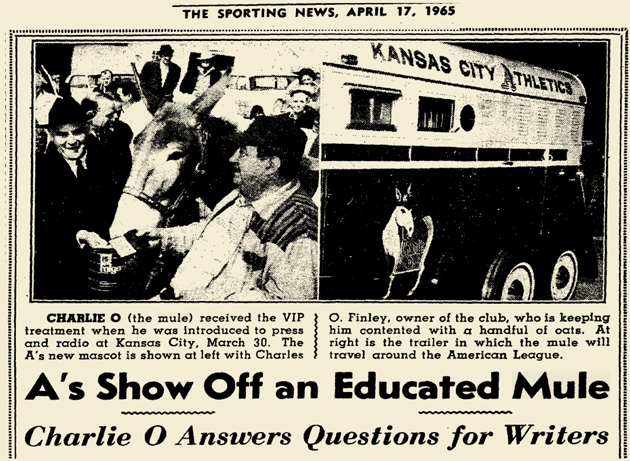 The mule was known as Charlie-O. 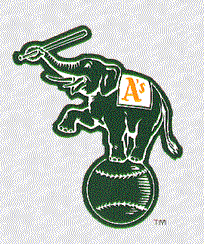 After moving to Oakland, the Athletics eventually dropped the mule and shifted to an elephant on the left sleeve of the uniforms. 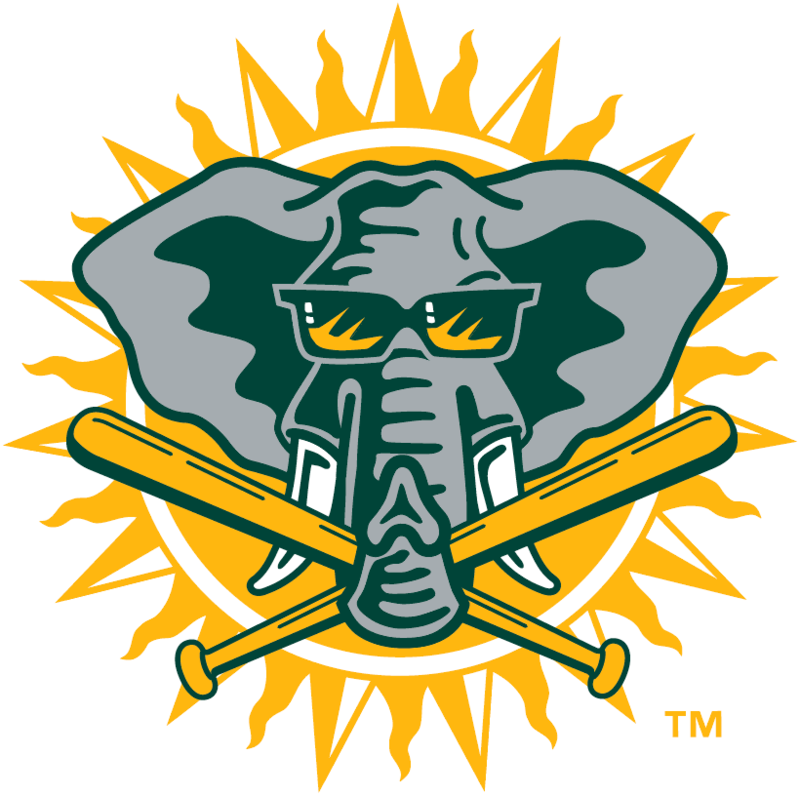 Beginning in the mid 1980s, the on-field elephant mascot went by the name Harry Elephante. 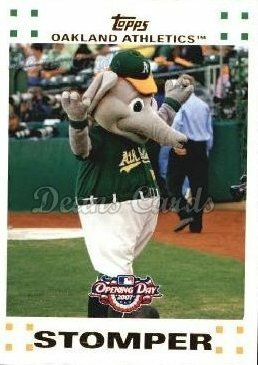 In 1997, he took his current form, Stomper. 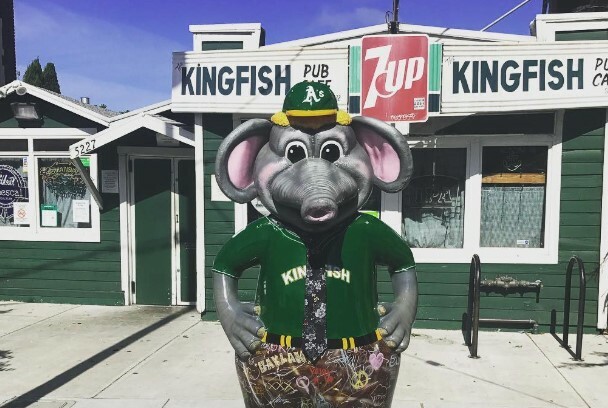 Where two or three are gathered in Berkeley to cheer on the A’s, an elephant is there. 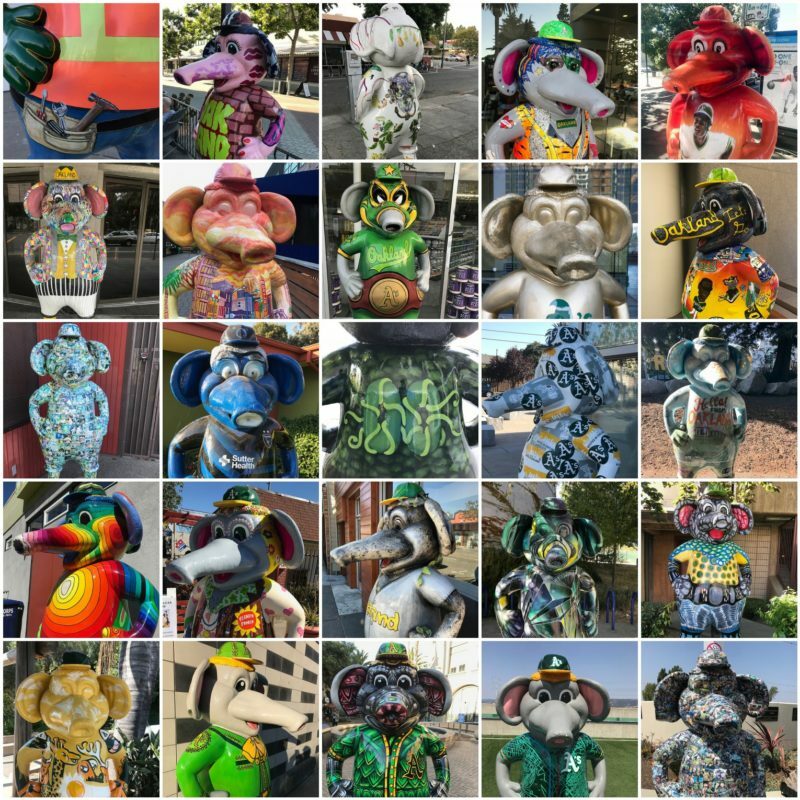 To celebrate 50 years in Oakland, the A’s last year sponsored a public art project with 50 Stomper statues placed around Oakland, each uniquely painted and accessorized. 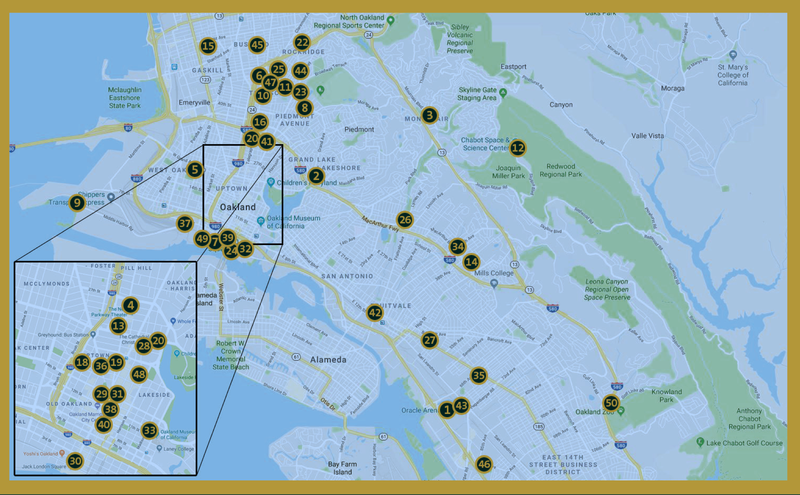 This map is of the locations of the 50 Stompers is from this article. None are in Berkeley, but the Rockridge BART station where #22 is might as well be in Berkeley. 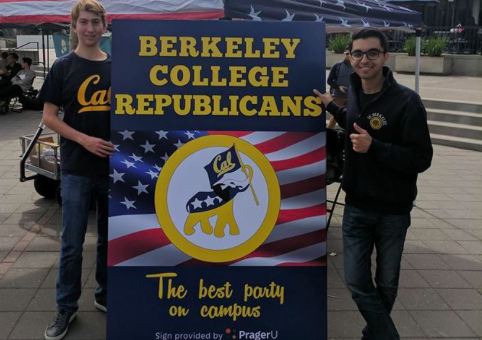 In the same logo/mascot vein, there are the Berkeley College Republicans. “The best party on campus” is a decent pun but I’m not buying it. Here is my suggestion to the College Republicans. Your party now controls the majority of the City Council. 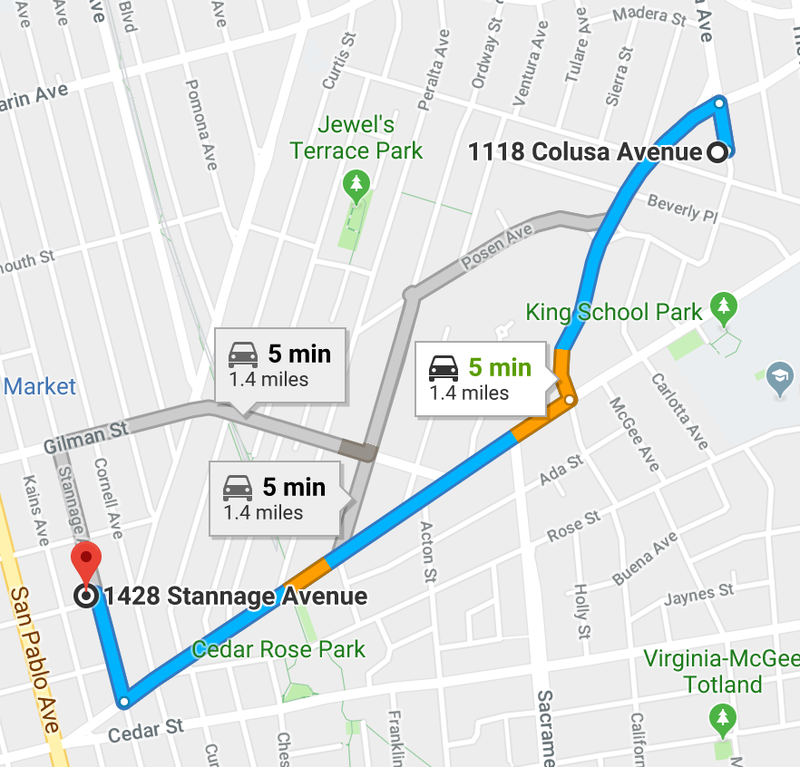 Ask yourselves what Republicans would have done differently than the Council did on February 28th about people living in RV’s Answer: (1) the GOP would been more forthright; (2) the GOP given the camper-housed four weeks instead of two weeks to clear out. (3) We would not have had to endure Rashi Kesarwani’s self-pitying lament about her pain – no matter how difficult the Council’s displacement order was to those living in the RV’s, it actually was more difficult for her because she had to work so hard on coming up with the ban. Otherwise – the same. So, young Republicans on campus, don’t pay attention to what the New Day in Berkeley City Council members call themselves. 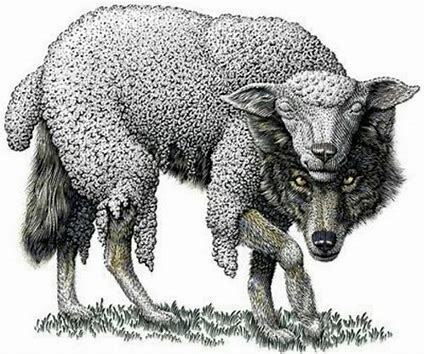 Pay attention to what they are doing. You’re winning and you don’t even know it. 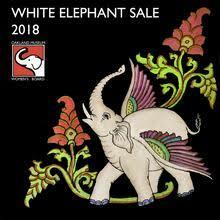 A final not-in-Berkeley elephant image, the annual White Elephant Sale, which in my defense many people from Berkeley attend. It is a large annual rummage sale that benefits the Oakland Museum of California. I took the draft post to my friend to get his critique and commentary. He was ultra-engaged in a difficult jigsaw puzzle. He got up and read through the draft. Point taken. 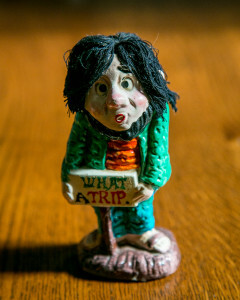 It’s not a short story but here it is if you want to wander around a little. Point taken again. I’ve made revisions meeting his elephant concerns. I asked what he thought of the now-revised post? 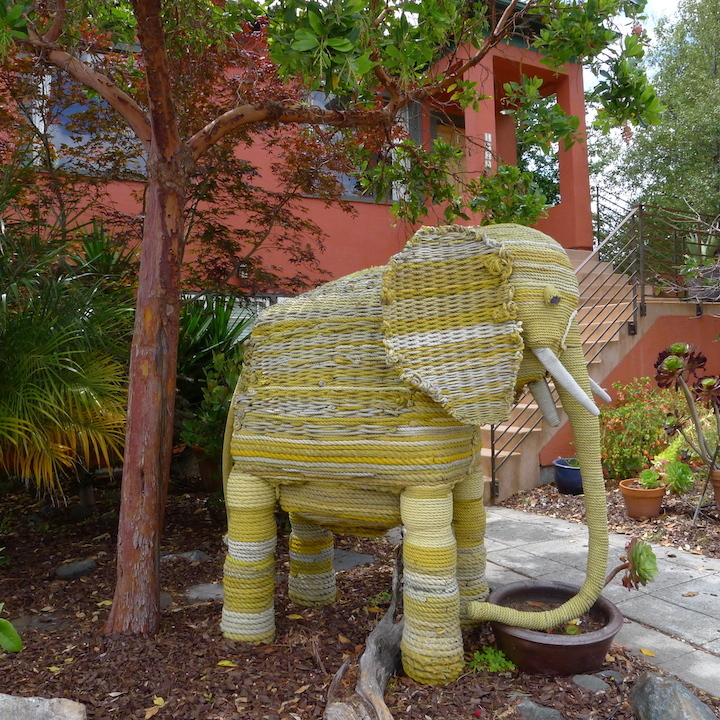 There’s a topiary elephant on Peralta Avenue on the west side between Gilman and Hopkins. It lives in a front yard with a topiary giraffe. If you send me your email I’ll send you a photo of it. Thanks for the shout out Tom! 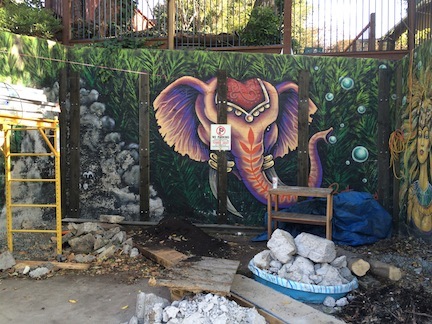 I have to share credit for the elephant in my mural at UA Homes with Rob Gibson who along with Nadya Voynovskya assisted in painting the walls. 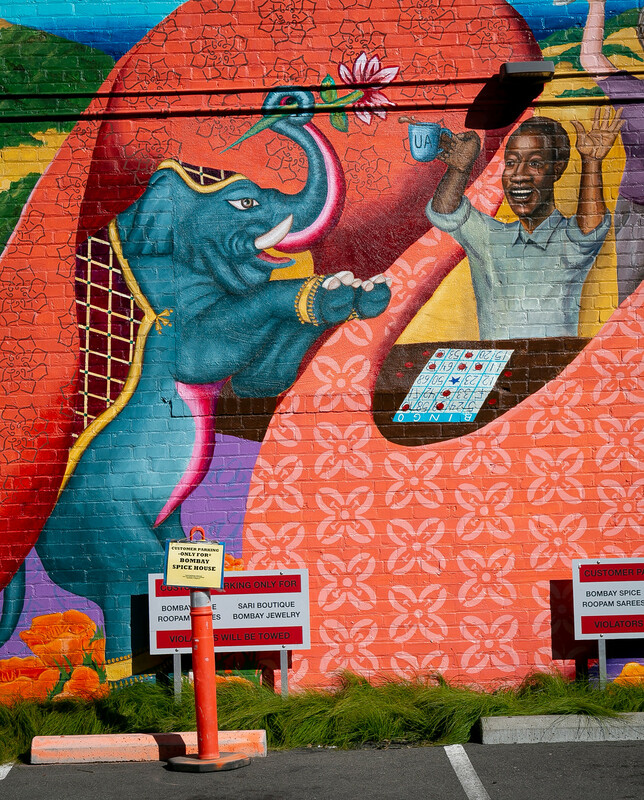 Who know there were so many elephants in Berkeley! Almost as many as bears? !